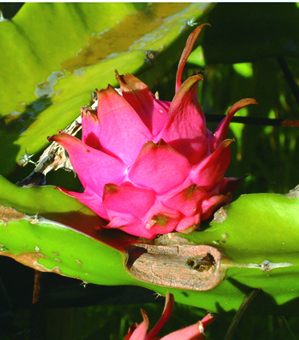 Dragon fruit is a fruit of cactus species that is a native of Mexico. 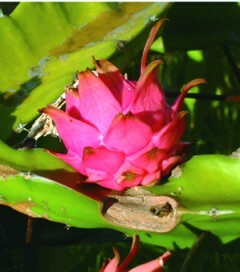 It is also cultivated in Southeast Asian countries including Okinawa. The fruit has three varieties; pink skin with white meat, pink skin with beautiful crimson color meat and yellow skin with white meat. It has a mildly sweet taste and is known for its low calories.